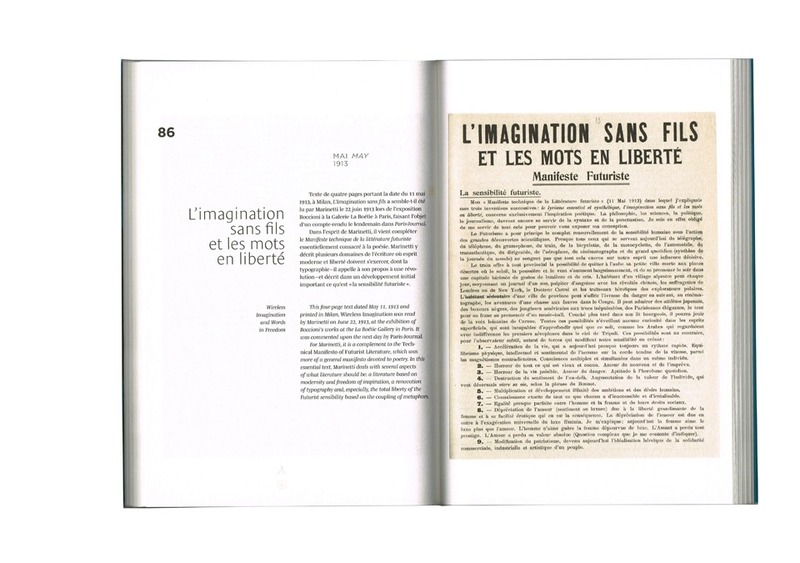 One October night in 1908, Marinetti, a young Italian dreaming of the world to come, feverishly throws his aspirations and desires onto paper, giving rise to the manifesto that would become the foundation of Futurism. 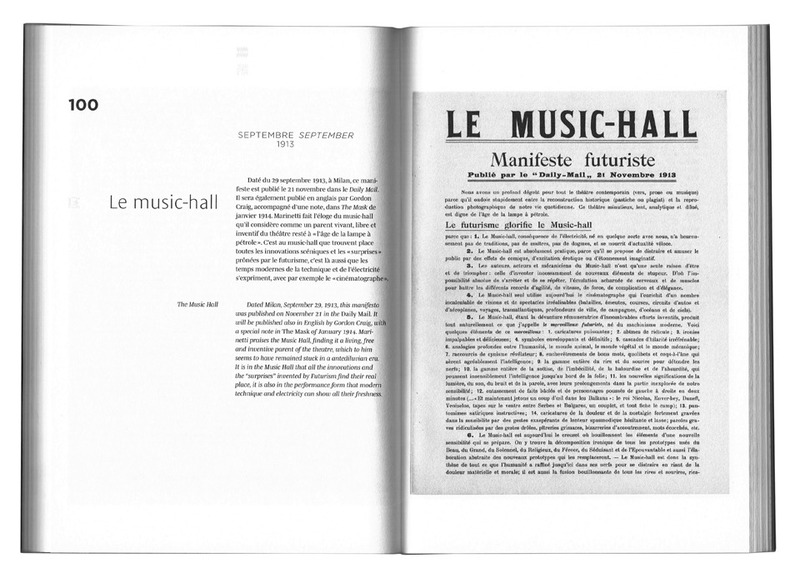 After having lived in the shadow of the pyramids and the Duomo in Milan, here he rejects old stones and literature buried in symbolism. 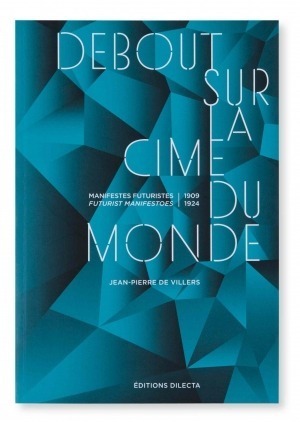 His text, originally published on the front page of Le Figaro, is a prophetic call launched at modernity. 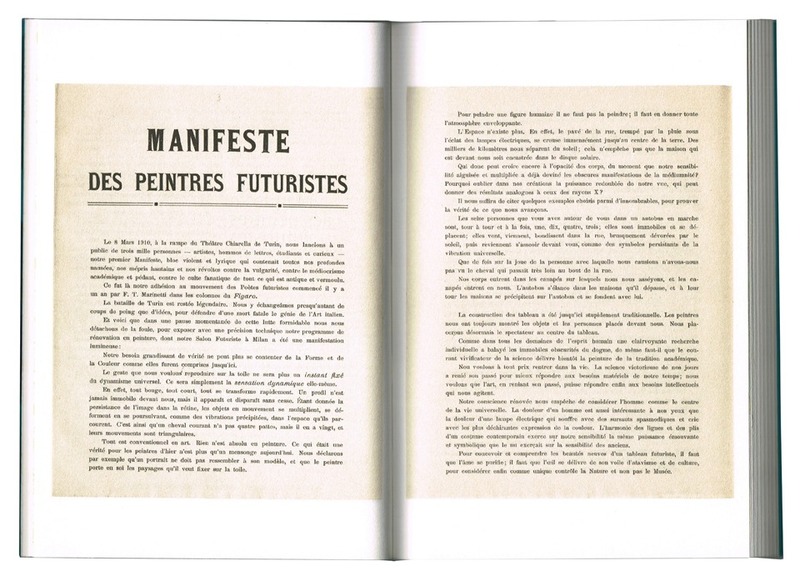 Almost thirty futurist manifestos would be published and distributed with the same enthusiasm during the years that followed. All the texts gathered here for the first time and identically reproduced, allow the discovery of the first avant-garde movement of the century, the source of inspiration for Dada and the surrealists.